“My brother and I have been doing this a long time. 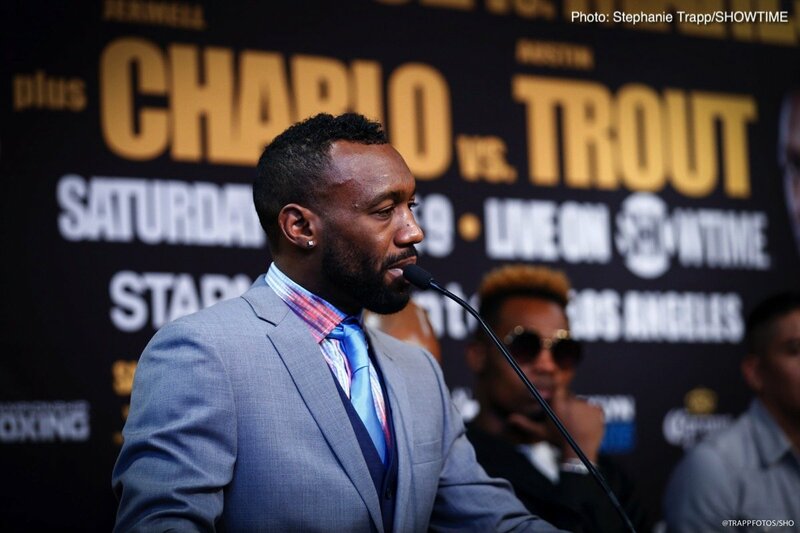 Austin Trout has done it a long time as well. I’m hoping everyone gets there early, because I’m bringing excitement to the table right from the start. “Some critics say that me and my brother haven’t fought the people required to be on the pound-for-pound list. My race to the top continues Saturday night to prove all those people wrong. “A knockout is possible. If he wants that to be the way it goes, then I’m capable. Derrick and I have a great plan that we’re ready to use. None of our experience in the past matters, we’re both 0-0. Anything can happen on Saturday night. “I look to do what my brother did against Trout, but way better. If that’s with a knockout or just picking him apart, I’m ready. I’m fighting for a lot more than just a win on Saturday. We’re going to keep shining and do what we have to do. “We want everyone to know that my brother and I come from the trenches. We made it this far, so we’re not stopping now. Nobody is standing in my way. I know Trout wants a belt, but this is the wrong belt to go after. “I’m very excited to be here and have another once in a lifetime opportunity. I believe this is destiny. I’m coming into the lion’s den and I’m going to come out unscathed. 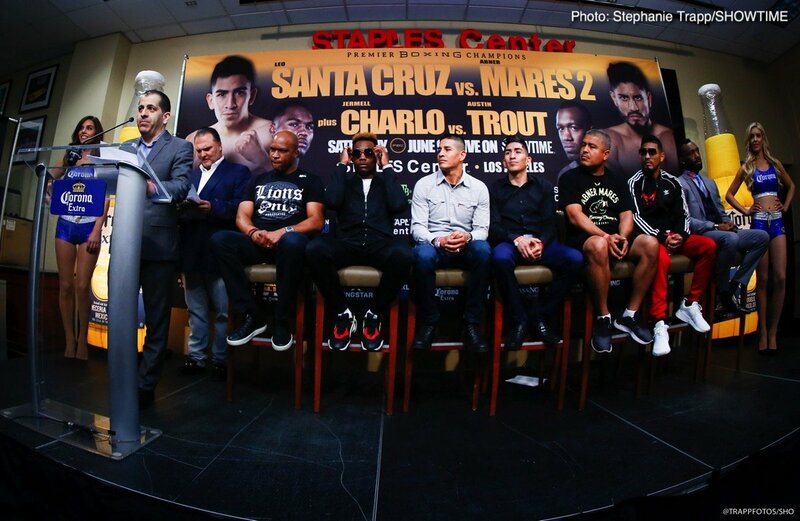 “As great as my win against Miguel Cotto was, I don’t think it compares to this fight here. 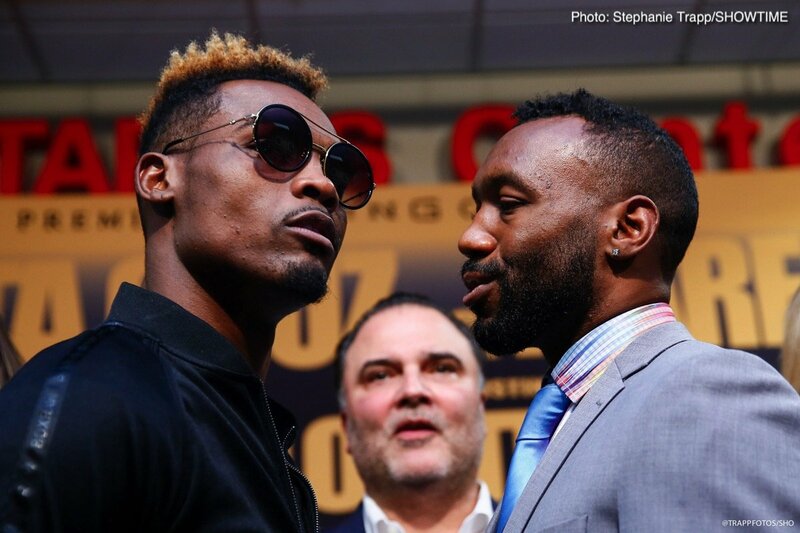 People complained about Cotto being old after I beat him, but with Jermell, there’s no excuse you can make up. He’s an undefeated world champion, so if I get the win, this is definitely bigger than Cotto. “I don’t think he’s overlooking me because I bet his brother told him not to sleep on Trout. Everyone’s going to see what I’ve been saying on Saturday night. “My training camp with Barry Hunter was fantastic. We got all the work in that I needed and Barry is someone who always pushes me to be better than I believe I’m capable of. “I learned from my mistakes when I fought the bigger brother. I’m going to be even better on Saturday and it’s going to be a totally different result. 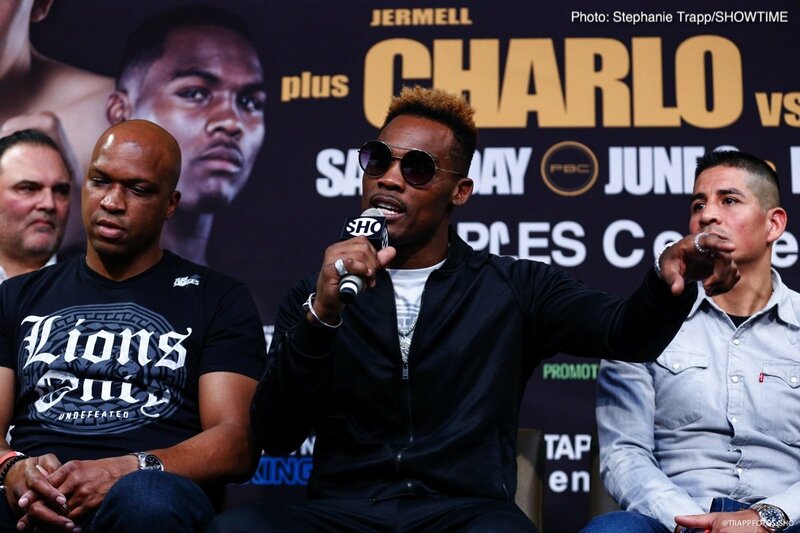 “I think that Jermell has shown a great level of maturity while also being an aggressive fighter. He’s also very positive about what he wants to do every day in camp, and in the ring on Saturday. 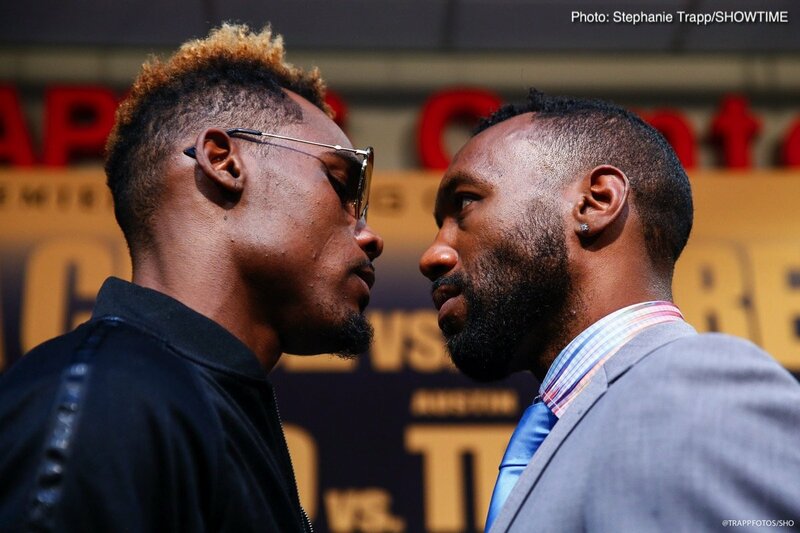 “Being able to spar with Errol Spence Jr. every day in camp has definitely helped Jermell. They say it all the time, but iron sharpens iron and that’s the mentality we have to help both guys improve and get to where we know they can get to. “Finally the wait is over. We waited three years for this rematch. Everyone asked me when this fight was going to happen. Now there’s just two days to go. 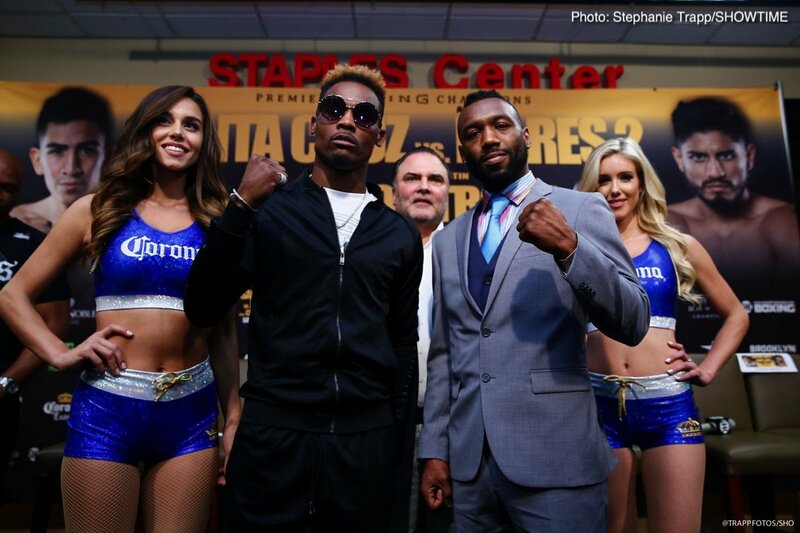 “You know it’s a big fight when you have the fight here at the premier venue in Los Angeles, STAPLES Center. These fighters here deserve it, because they are the best fighters in the sport, regardless of division. 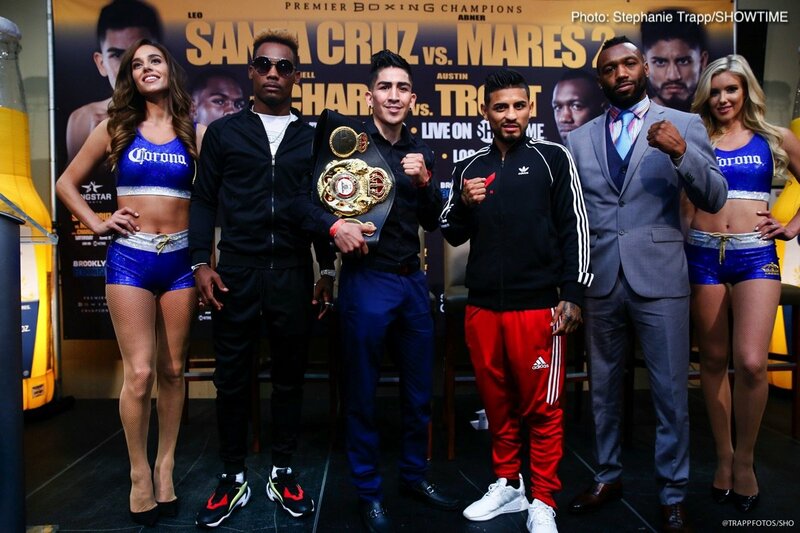 They’re going to show everyone on Saturday night why we love boxing so much. 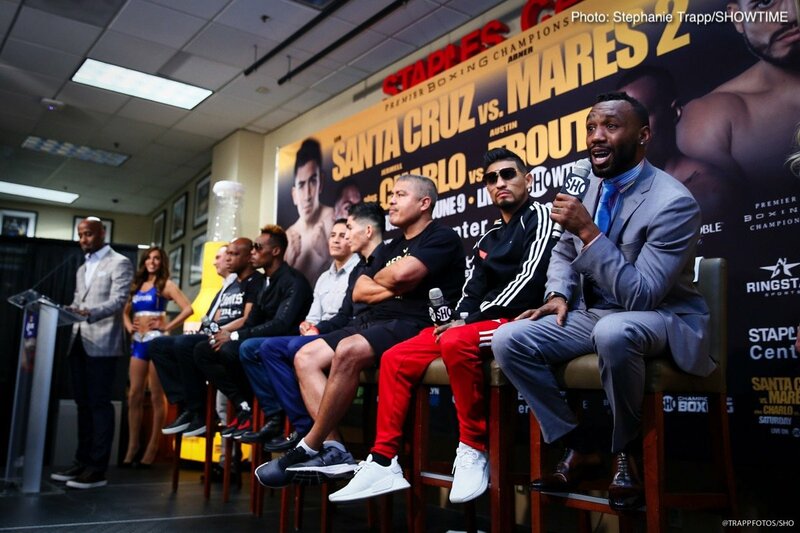 “Each of these fights could have been a main event in its own right. 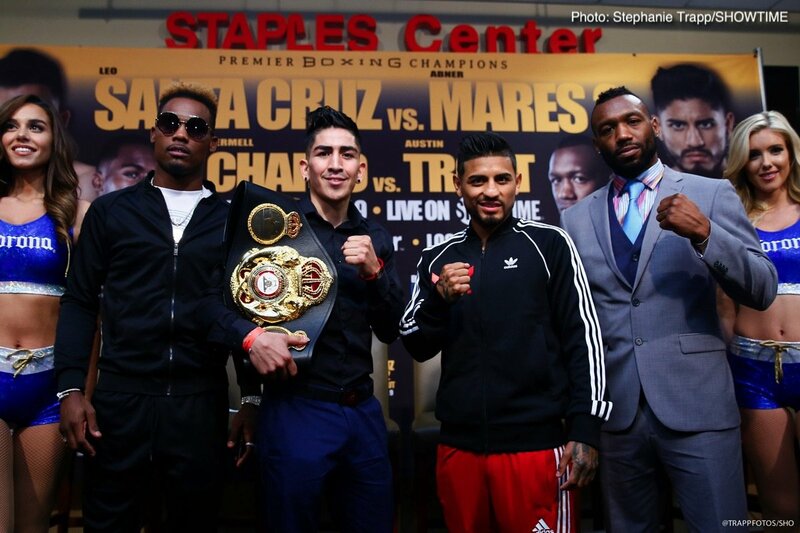 I’m glad that these fighters were okay all being together on an event that really elevates the sport of boxing. 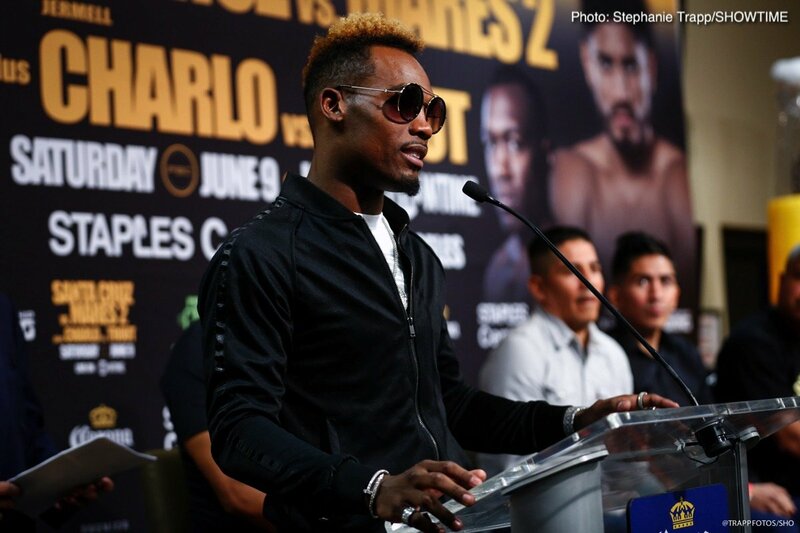 “Jermell Charlo is a once-in-a-generation talent in this sport. He has all the skills you need, but also has that one thing that makes you a superstar. He has charisma, and you cannot learn that. 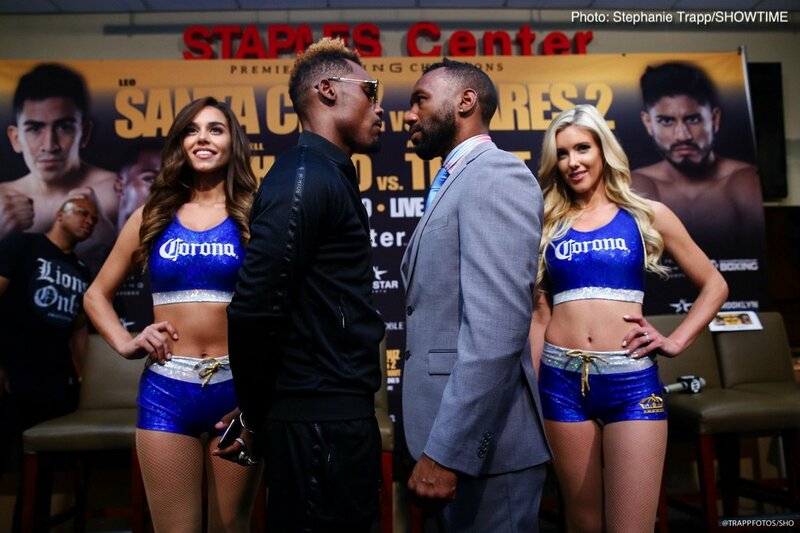 However, anyone who is doubting Austin Trout, is making a big mistake. I have no doubt that he’ll be more than ready for this challenge. 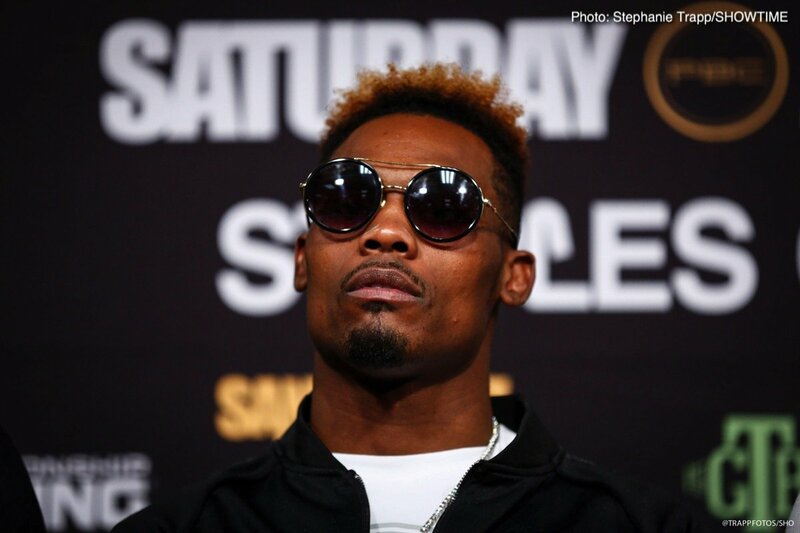 “I’ve been fortunate to follow these main event fighters from their first fight, all the way to now, with them being multiple time world champions and fantastic men outside of the ring. Leo and Abner live the kind of lives that make this sport proud. But on Saturday night, may the best man win.